The North River Tunnel, which connects New Jersey and New York City, is falling into disrepair. President Donald Trump’s Administration has said it will not provide funding for a project that would repair the bridge. Bloomberg reports that the Trump Administration’s opposition to the project may be a retaliatory effort against Senator Chuck Schumer, a Democrat who has held up some of Trump’s nominees for federally-appointed positions. President Donald Trump spent over a year promising to modernise America’s infrastructure. But now, one of the United States’ most important pieces of infrastructure is decaying – and Trump wants no part of it. The North River Tunnel runs under the Hudson River, connecting New Jersey and New York City and serving around 450 trains and 200,000 passengers each day, according to Bloomberg. But the tunnel needs serious repairs after over 100 years of service and significant damage from Hurricane Sandy. 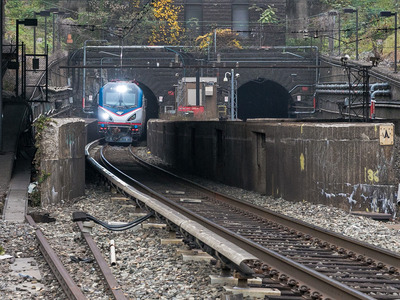 In 2014, Amtrak estimated that the tunnel had a maximum of 20 years left before it would have to be taken out of service, but since 2010, both former New Jersey Governor Chris Christie and Trump have rejected plans to build new tunnels that could supplement or replace it. Christie rejected what was known as the ARC project in 2010, despite the federal government’s offer of $US8.7 billion to split costs on two new tunnels, since he feared expenses would balloon beyond initial estimates. And in December, the Trump Administration rejected the Gateway project, proposed by Christie, New York Governor Andrew Cuomo, and US Senators Charles Schumer and Cory Booker in 2015, that would have also divided costs between the federal and local governments. The Gateway project revolves around repairs to the North River Tunnel and a new tunnel between Newark, New Jersey and Manhattan’s Pennsylvania Station, and would cost a total of $US30 billion. Bloomberg reports that the Trump Administration’s opposition to the Gateway project may be a retaliatory effort against Schumer, a Democrat who has held up some of Trump’s nominees for federally-appointed positions. But even conservative estimates indicate that the project could return over $US2 for every dollar spent. The personal and economic consequences of continuing to neglect the North River Tunnel could be devastating. Around 13% of the people who work in Manhattan live in New Jersey, which corresponds to about $US33 billion in income. To properly fix the tunnel, each of its two tubes (each tube carries one train) would need to be closed for 18 months for repairs, which would cut the tunnel’s capacity by 75%, according to Bloomberg. The tunnel’s importance extends beyond New Jersey and New York. It makes up part of Amtrak’s Northeast Corridor, the busiest passenger rail line in the US, which extends from Boston to Washington, DC. 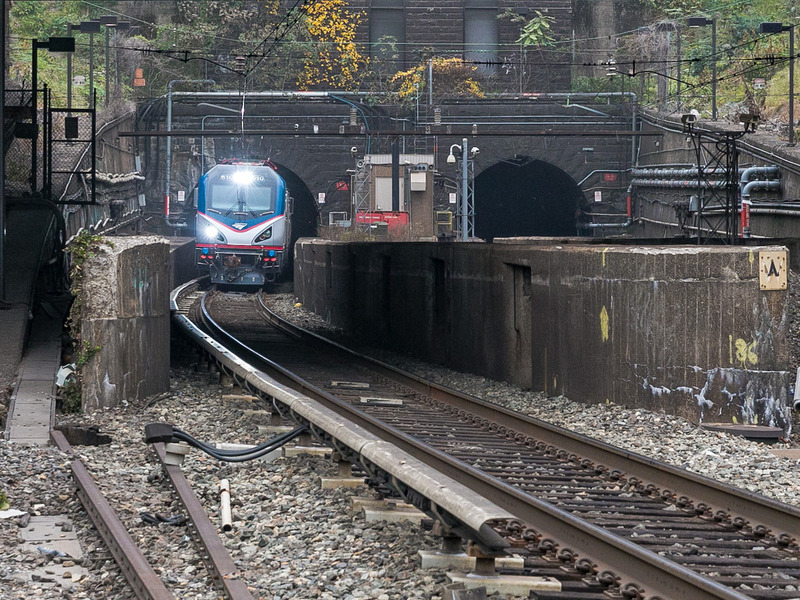 About a quarter of the 820,000 daily passengers on the Northeast Corridor travel through the North River Tunnel, and given that the Northeast contributes $US3 trillion to the US economy each year, the tunnel plays a pivotal role on a national scale. If it falls into disrepair without a working alternative, the consequences could be dire. But the North River Tunnel isn’t the only rail line used by New York commuters that’s nearing a crisis. A New York Times report from November found that NYC’s subway system has become less reliable than any other major metropolitan rapid transit system due to decades of insufficient maintenance and financial mismanagement. A follow-up report in December described how the city’s subway construction projects tend to be far more expensive than in comparable cities throughout the world due to routine overstaffing and overly generous compensation negotiated by unions and contractors without input from any city agencies.